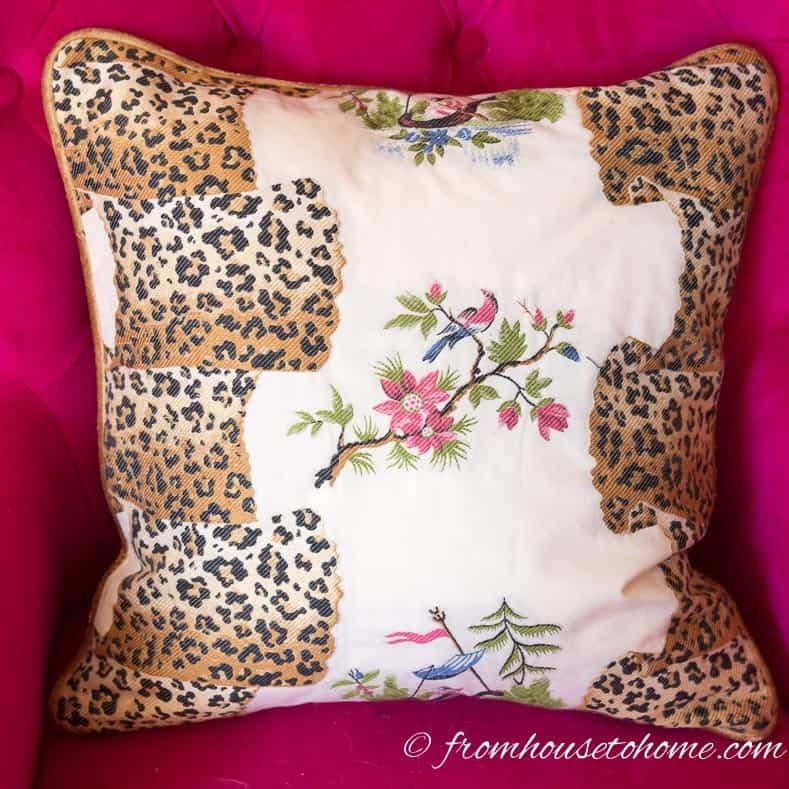 Cushions are a great way to add some color and pattern to your decor. They act as jewelry in a room because they dress it up. 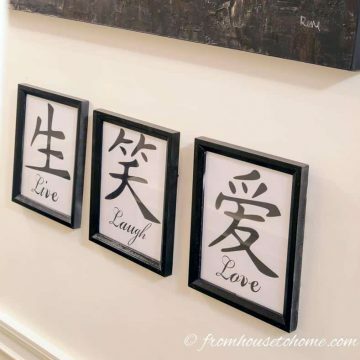 They allow you to express your personality and creativity. And they make a room feel more inviting and comfortable. 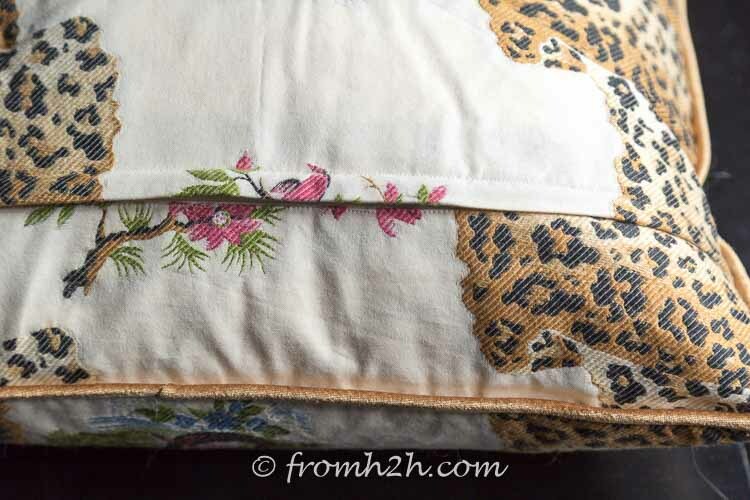 Even better than using store-bought cushions is to make your own cushion covers. 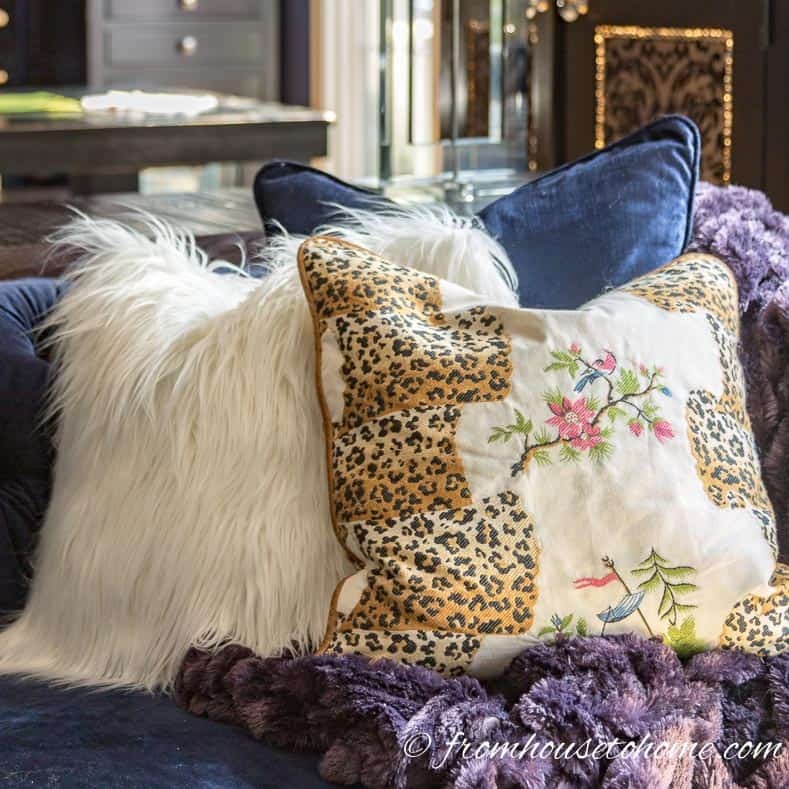 They allow you to completely customize the colors, repeat an inspirational fabric, add a contrasting pattern, use different textures, or include a complimentary color…and when you feel like a change, you can easily swap out the old cushion cover with a new one…without having to spend a lot of time and money to do it! 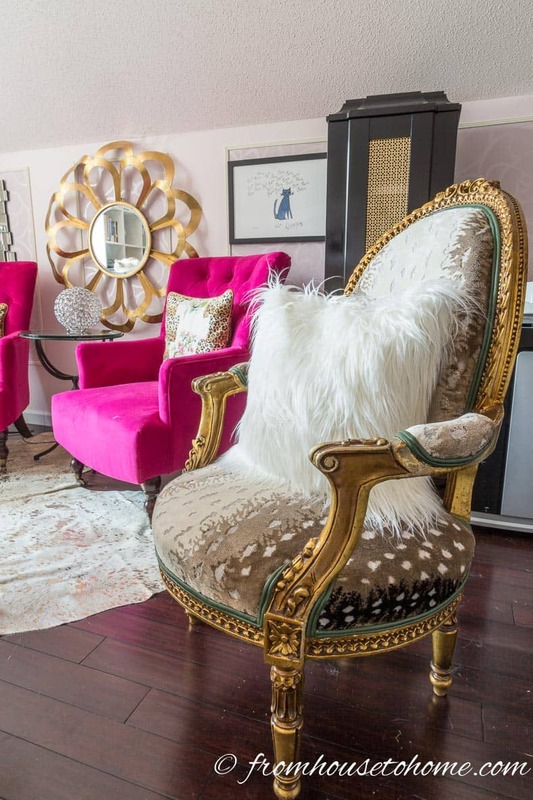 Want to see the home office makeover that these cushions were made for? Click here to open the post. 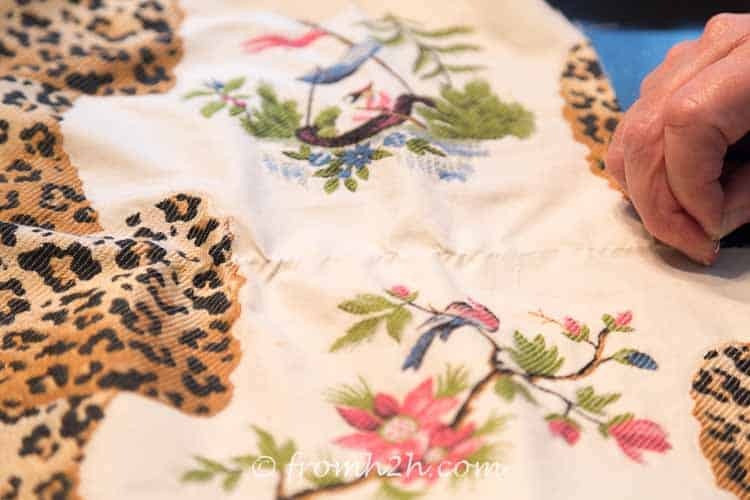 Keep reading to find out how to make cushion covers like a pro. What Makes A Cushion Cover Look More Professional? 1. The corners of the cushion are smooth. 2. 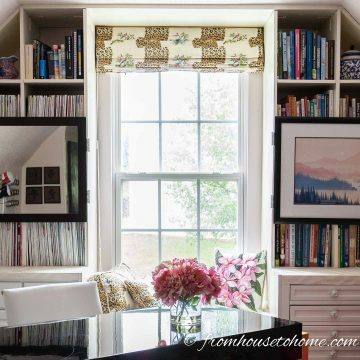 Piping (or other trim) in a coordinating color adds to the look of the cushion. 3. Joining the piping correctly makes it very difficult to see. 4. A large zipper makes it easy to get the cushion form in and out of the cover. 5. The fabric covers the zipper so you can’t see it. 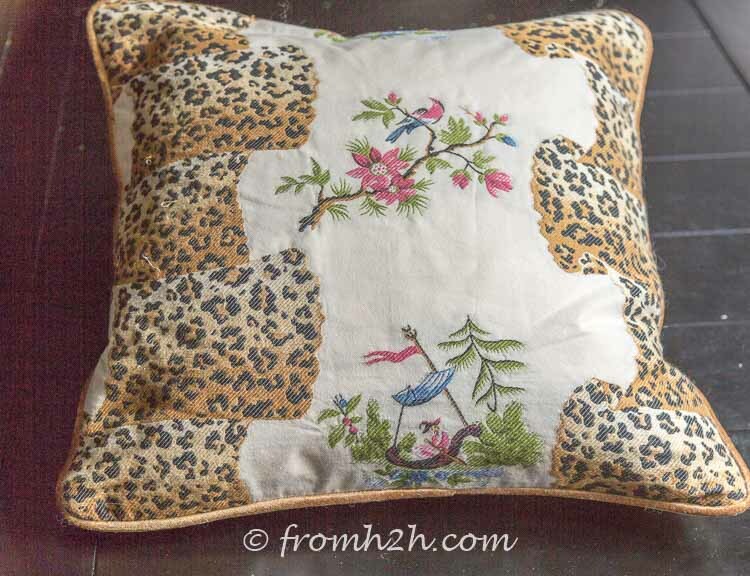 18″ Cushion Insert* – I prefer feather inserts because they retain their shape over time. 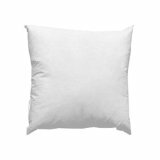 For this project, I used an 18″ square pillow but there are a range of sizes and shapes available. 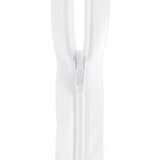 Zipper* – Determine the length by measuring one side of the pillow insert. In this case, we are using an 18″ square cushion form, so the zipper is 18″ long. 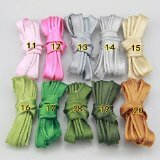 Thread* – Choose a color that matches the background color of your fabric. 1. 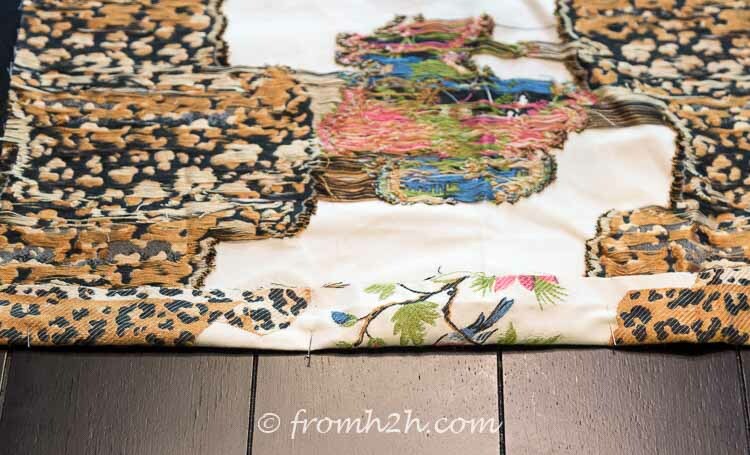 If your fabric has a pattern, determine which part of the fabric you want to use for the front of the cushion. 2. 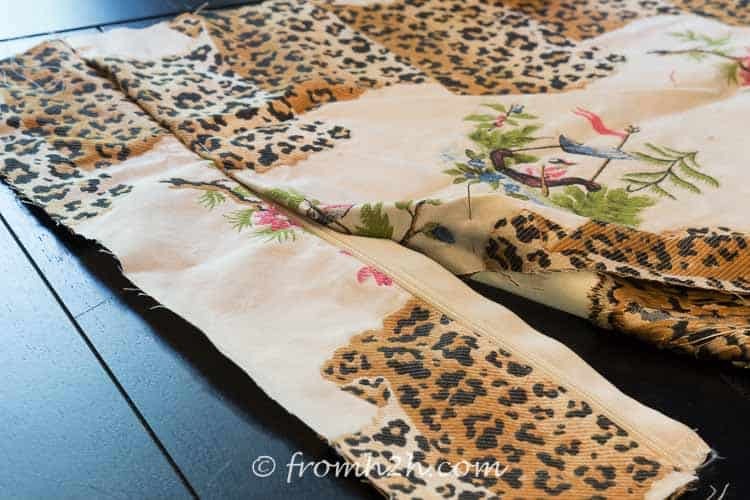 Figure out how big your front piece of fabric needs to be. 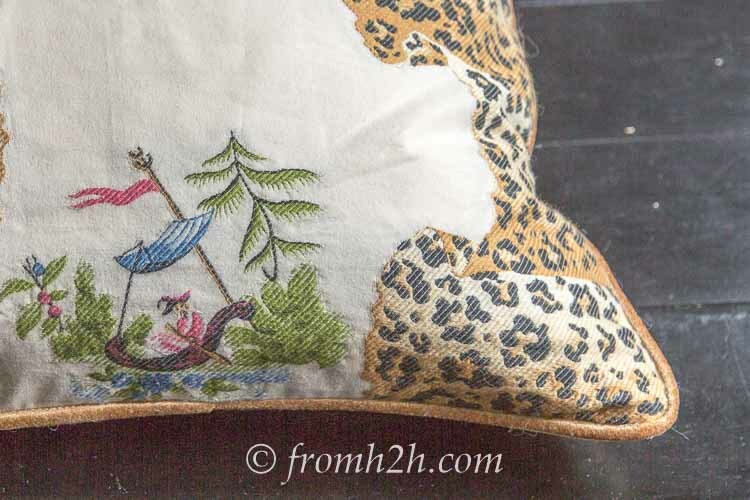 This will be the size of the cushion insert plus ¾“ on each side for seam allowance. E.g. for an 18” square pillow plan to cut a 19½” x 19½” square for the front. 3. Draw this measurement onto the fabric, making sure that your selected pattern (if you have one) is in the center. a. 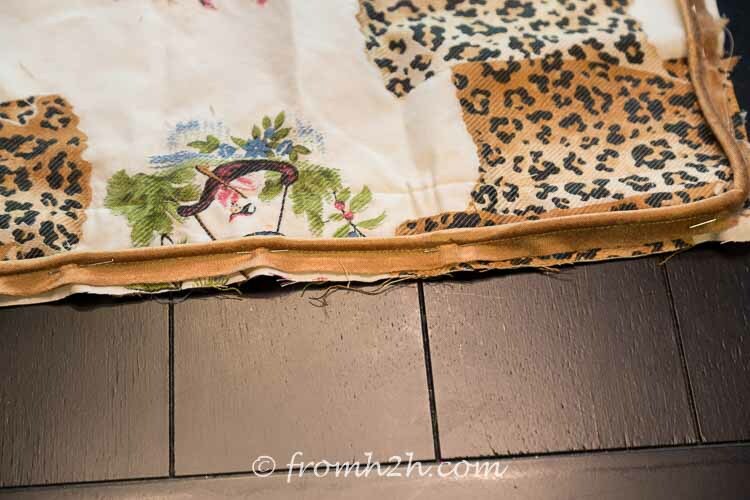 Make a small cut in the side of the fabric where one of the edges will be. b. Find the end of a thread that is coming out from the cut. c. Keep pulling on this thread until it comes all the way out of the fabric. You will be able to see the line that is left behind…this will create a straight line that you can use as a guide for cutting. 5. 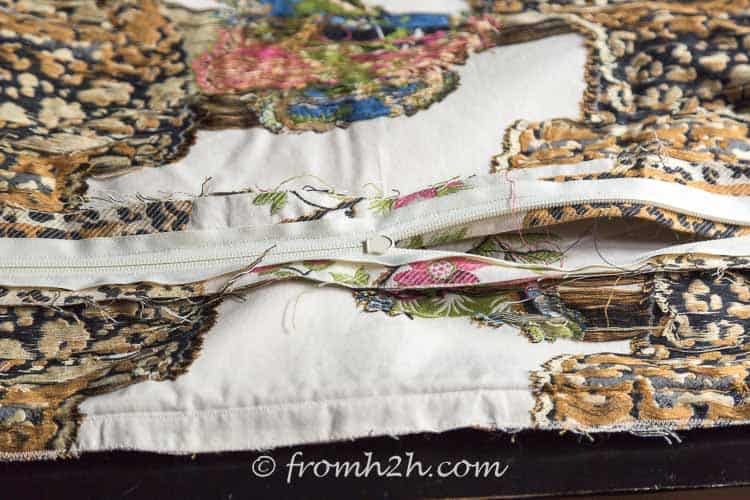 Repeat the thread-pulling process with all 4 sides of the cushion front. 6. Cut out the cushion front. 7. Figure out how big the back piece of fabric needs to be. It should be the same width as the front but 1½” longer (the extra length will be needed to install the zipper). 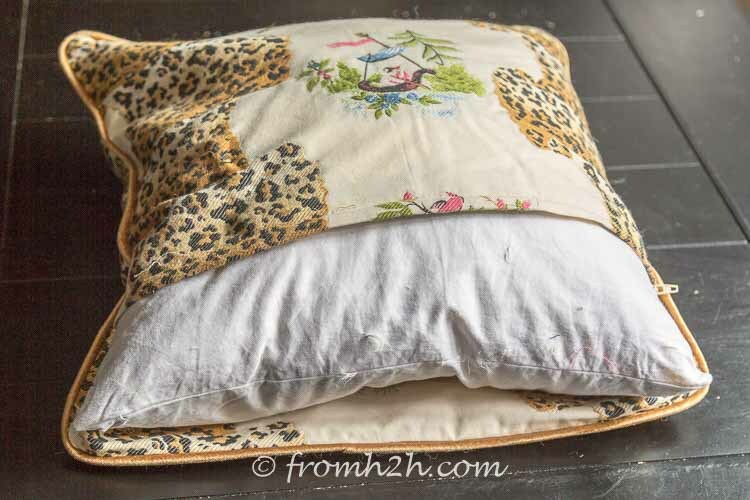 For example, an 18″ square pillow should have a back piece that is 19½” x 21″. 8. Repeat the thread pulling process from above and cut out the fabric for the cushion back. 9. 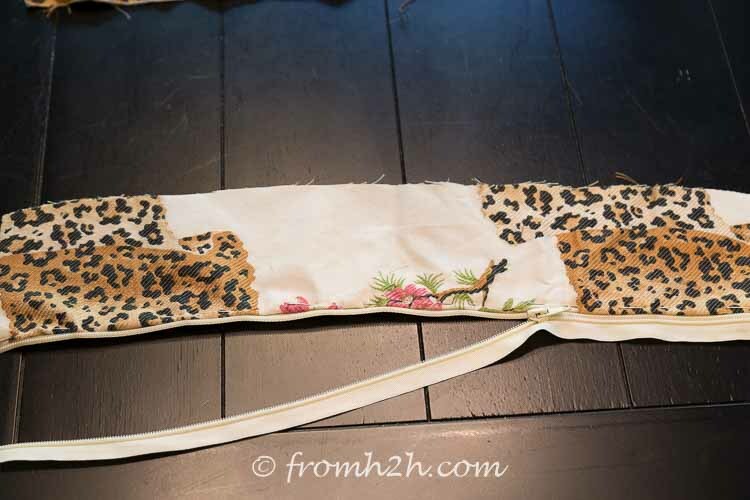 Measure 3″ up from the bottom of the back piece, pull another thread and cut off the piece of fabric. This is where the zipper will go. Hint #1: Make sure that your zipper is at least as long as the width of the cushion form. In this case, the cushion is 18″ wide, so the zipper is 18″ long. This way the zipper will stretch all the way across the back of the cushion, which makes it much easier to get the cushion form in and out. If your zipper is too long, you can cut it…use hint #2 to make sure the zipper pull doesn’t fall off the track. 1. 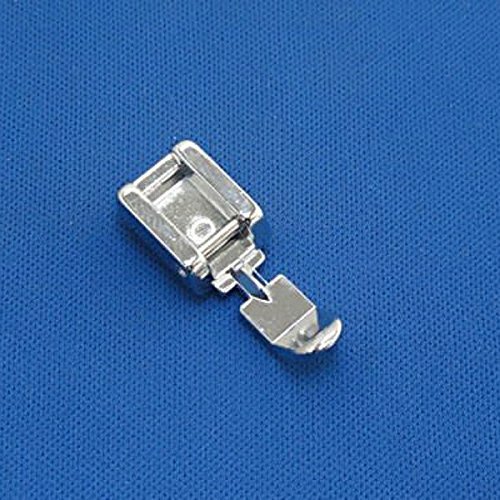 Install the zipper foot on your sewing machine (if you’re not sure how to do this, check your machine’s manual for the instructions). 2. 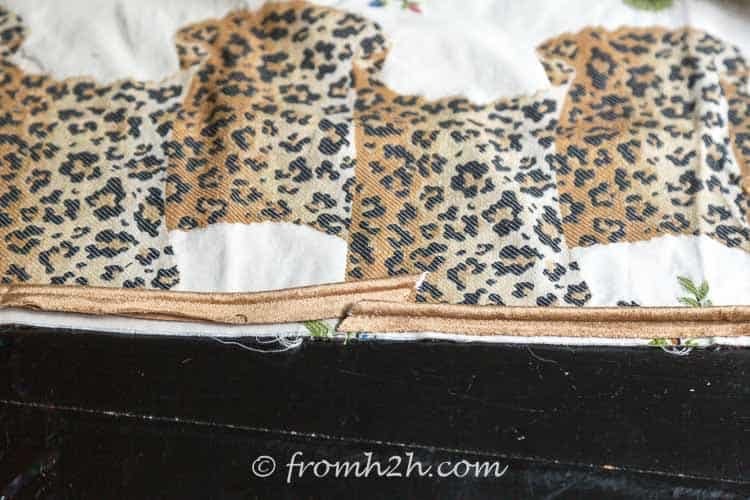 On the small 3″ piece of the back that you just cut, fold one edge of the long side over ½” so that the wrong sides of the fabric are together. 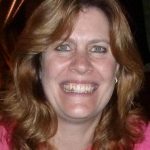 If your material has a pattern, you will want to make sure that you are folding the side that continues the pattern from the larger back piece. Press with an iron so that the fold stays in place. 3. 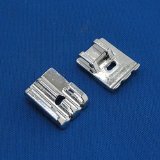 Lay the zipper down on the table with the zipper pull facing up. 4. 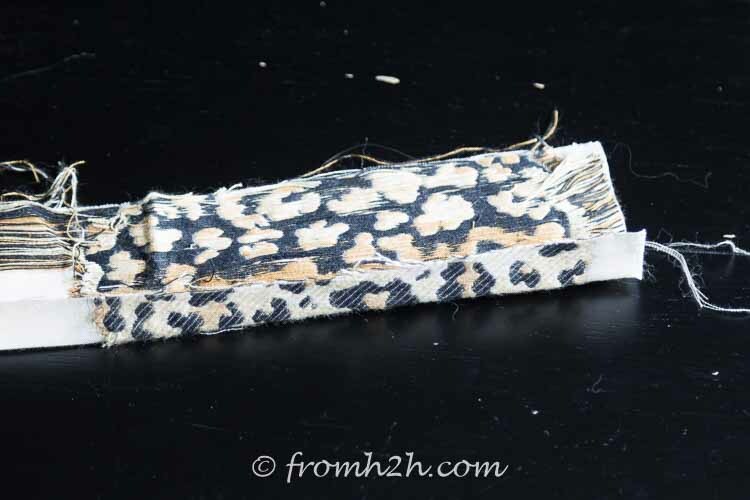 Place the folded edge of the fabric along the edge of the zipper track. Make sure that the right side of the fabric is up and the right side of the zipper is up. 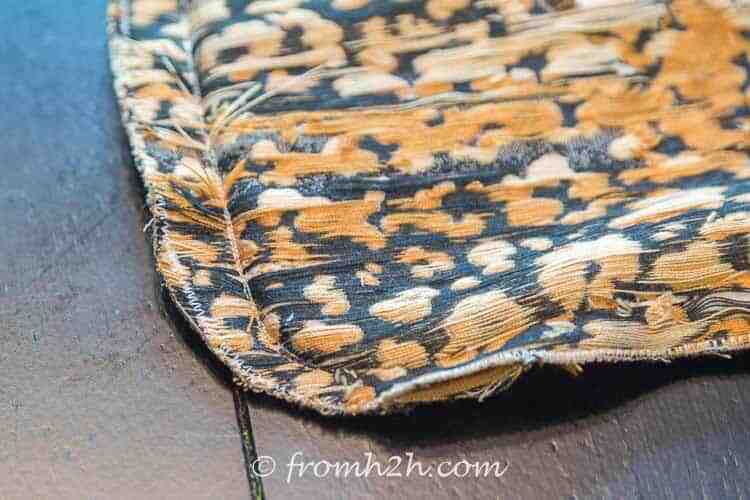 The small folded edge of the fabric should be covering the edge of the zipper. 5. Pin the fabric to the zipper. 7. 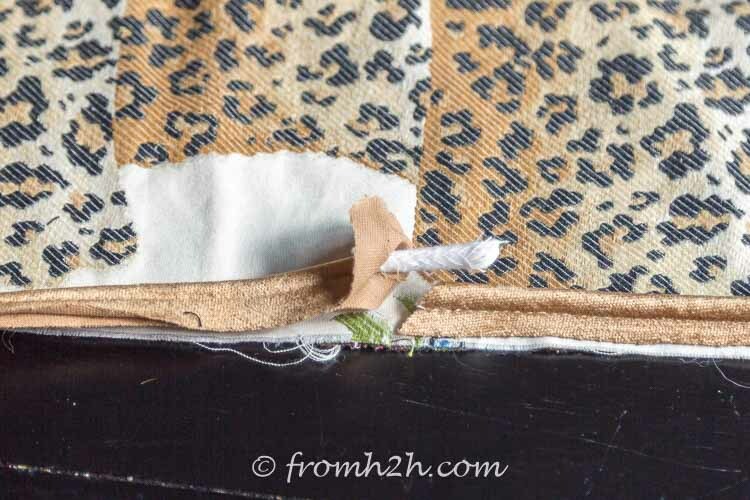 Start at one end of the zipper and sew it to the fabric as close to the zipper as you can. If you remove the pins just before you get to them, you will make sure not to break your needle. 8. Now get the larger back piece for the cushion. 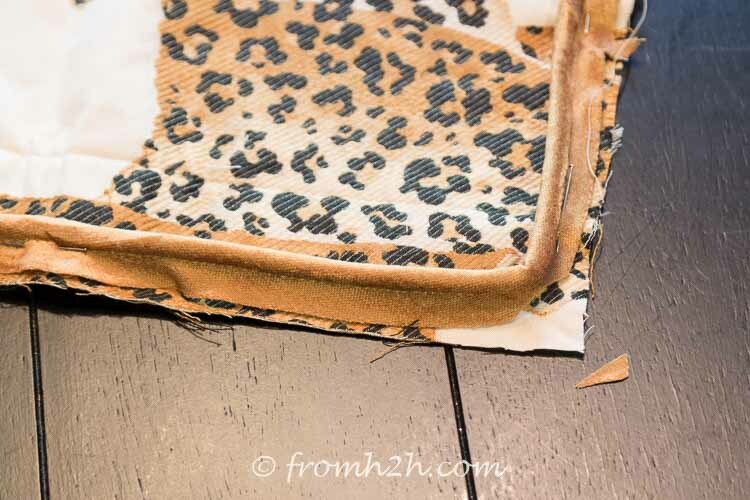 Fold the bottom edge of the fabric up 1″ so that the wrong sides are together. 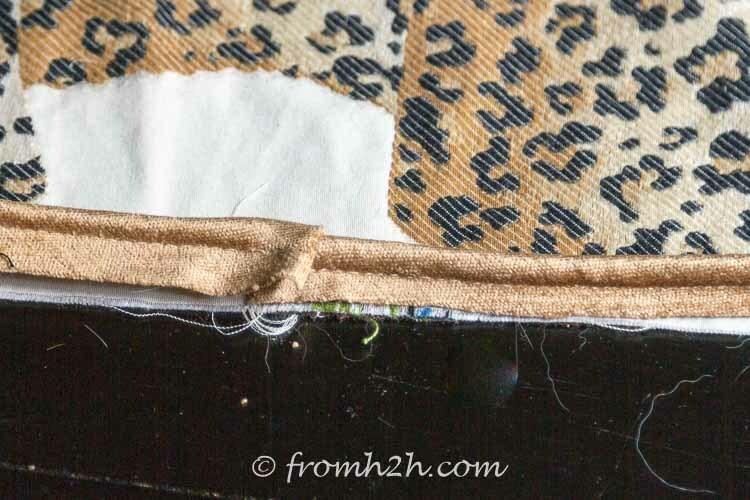 If your material has a pattern, make sure you have the bottom edge by checking that the pattern is matching up with the piece you just sewed to the zipper. It won’t match exactly (because of the fold on the other piece), but should be close. If the fold won’t stay very well, use a few pins to hold it in place. 9. 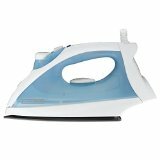 Use the iron to press the seam so that it stays folded. 10. Close the zipper and make sure it is lying face up on the table. 11. Position the fabric so that the folded edge completely covers the zipper track. This will make sure that the zipper track isn’t visible on the back of your cushion. 12. Pin the material onto the zipper. 13. Turn the fabric over so that the wrong side is up. Sew the zipper to the fabric. 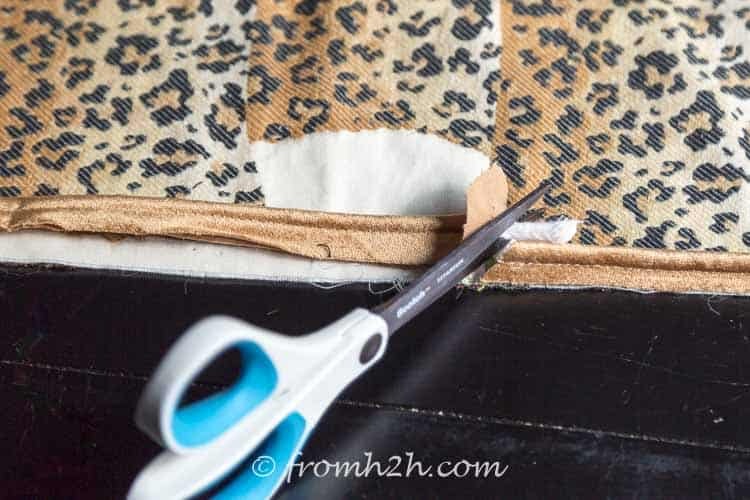 In this case, you want to leave a ¼” gap between the zipper track and where you are sewing so that there will be enough room to easily open and close the zipper. 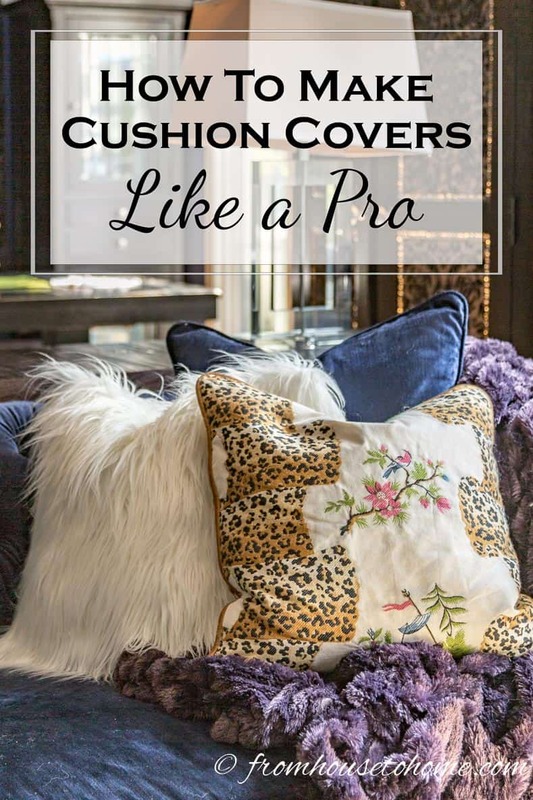 Piping or trim isn’t absolutely necessary for a cushion, but it definitely makes your cushions look like a professional sewed them! 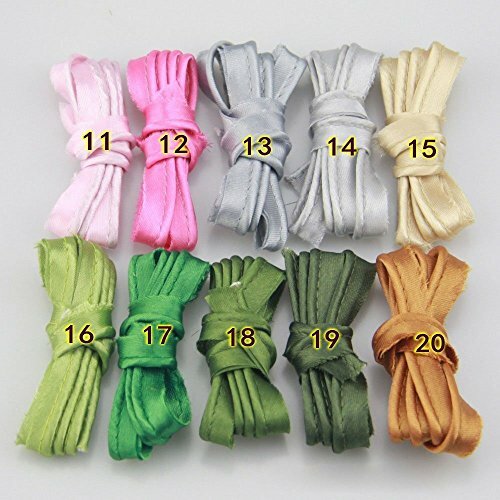 They come in many different colors and styles, so you can easily find something that goes with your cushion. 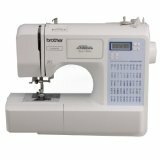 Hint #1: If you have a piping foot for your sewing machine, you will want to put that on now as it makes sewing piping much easier. If not, the zipper foot will also work. 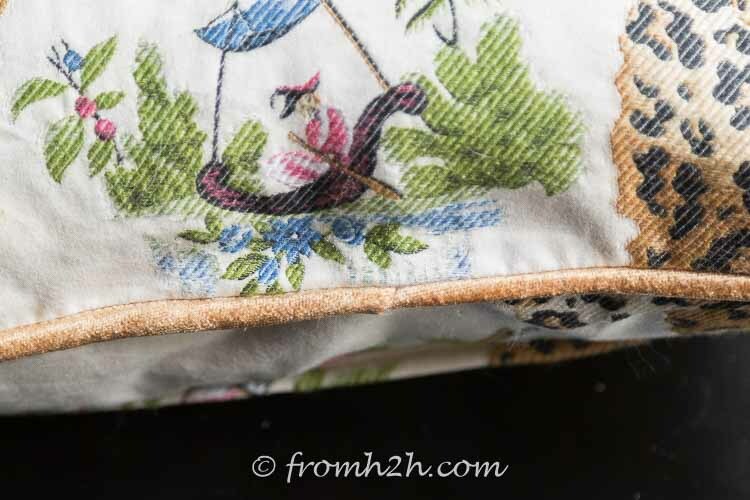 Hint #2: You will need enough piping to go all the way around the outside of your cushion…so for an 18″ square pillow that would be 18″ x 4 sides plus a few extra inches for joining…or about 78″. 1. 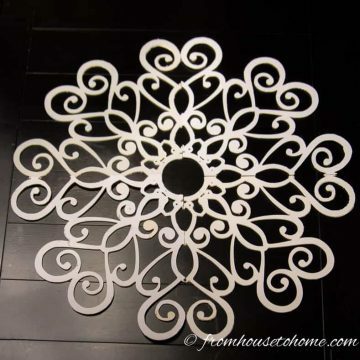 Lay the front piece of the cushion out on the table with the right side up. This is the fabric piece that does not have the zipper in it. 2. Pin piping around the edges of the front piece. Start the piping in the middle of an edge (rather than at the corners). Cut a triangle off the corner of the piping to make it go around the corner more smoothly. 3. Cut the corners off of the piping to allow it to turn smoothly. Make sure not to cut through the thread on the piping when you do this. 4. When you get back around to the start, cut off the piping so that there is some overlap (the end should extend past the start by at least 1″). 5. Remove the last few stitches from the end of the piping. 6. Fold the fabric back to expose the piping cord. 7. Cut the end of the cord so that it matches up to the start of the cord on the cushion. 8. Make sure that the ends meet. 8. Fold the cut edge of the piping fabric under. 9. Wrap the extra piping fabric around the two cord ends so that they are covered. 10. 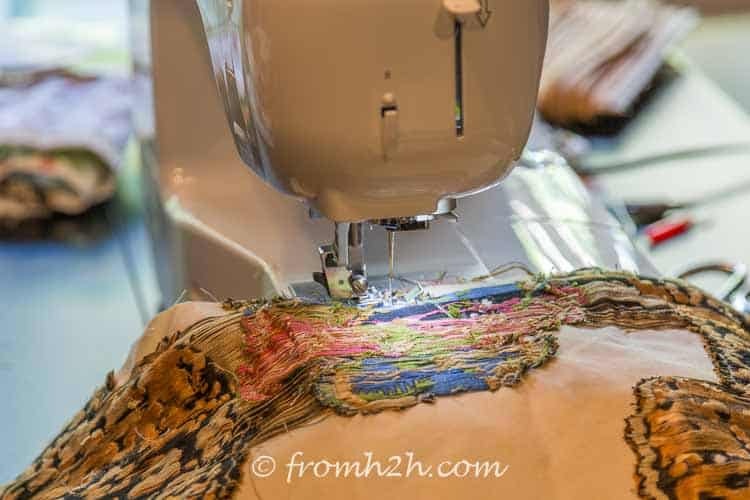 Change the stitch length on your sewing machine to a basting stitch (probably the longest stitch length available). 11. Baste the piping to the fabric, removing the pins as you go. Go slowly around the corners to make sure they hold their shape. 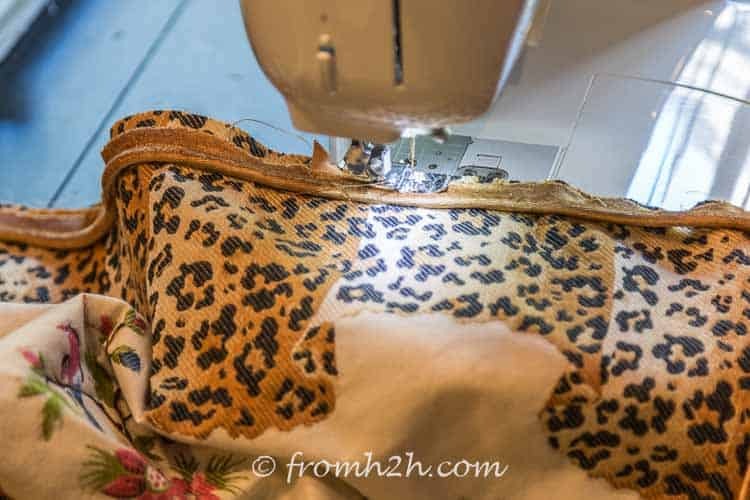 Hint: Make sure that the zipper is open a couple of inches at one end before you start sewing. This will make it much easier to open after you have sewed the two sides together. 1. Pin the front and back of the cushion to each other with the right sides together. If your material has a pattern, make sure that the pattern is going in the same direction on both sides. Also, make sure that the corners are lining up and that the zipper ends are meeting. 2. 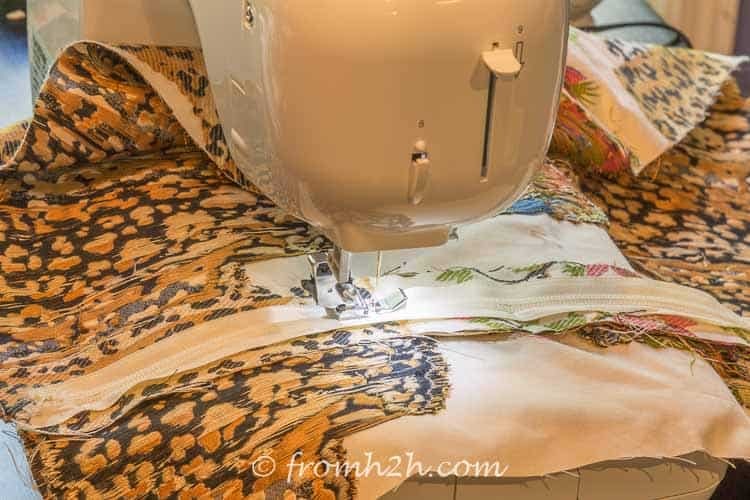 Change the stitch length on your sewing machine to the standard sewing length (usually 2.4 mm or 10 to 12 stitches per inch depending on your machine). 3. Sew close to the piping through all thicknesses. If you have trouble with the corners, try making your stitch length shorter…it helps to make navigating the corners easier. 4. Clip the corners of the fabric to make them fold out better. Make sure not to cut the stitches that are holding the cushion together. 5. 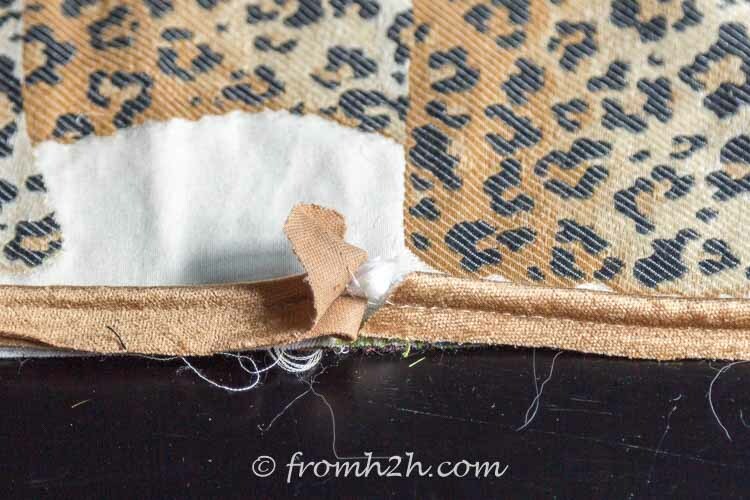 If you want to prevent the inside edges of your fabric from fraying, you can use the zigzag stitch on your sewing machine (or a serger if you have one) to sew all of the edges. 1. Open the zipper completely. 2. Turn the cushion cover right side out. 3. Use the iron to press it flat. 4. Insert the cushion form and close the zipper. And now you have a cushion that looks like it’s custom made! Now that you know how, you can add pizzazz to your rooms by making cushion covers of different textures and fabrics. 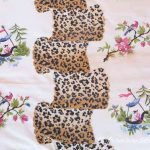 Have comments or questions on how to make cushion covers? Tell us in the section below. I love to decorate with cushions in my home, I agree they add a lot of personality and can easily be exchanged each season! Thanks for the great tutorial! Thanks, Katrin! 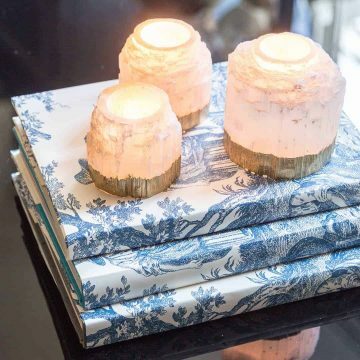 Cushions are one of my favorite ways of adding a finishing touch to a room. 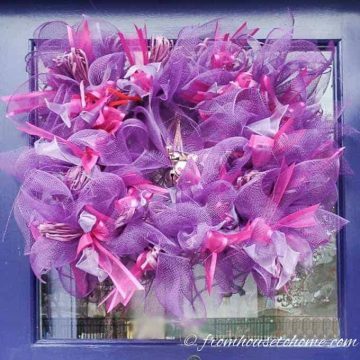 Thanks for hosting the Sweet Inspiration Link Party…I always find so many great ideas! This is an excellent tutorial. I love making pillow covers. Your look great.